I must admit that I have, on a few occasions, flown to another city just to eat in a specific restaurant, but I've never flown to another country for the same purpose, until this past week-end. 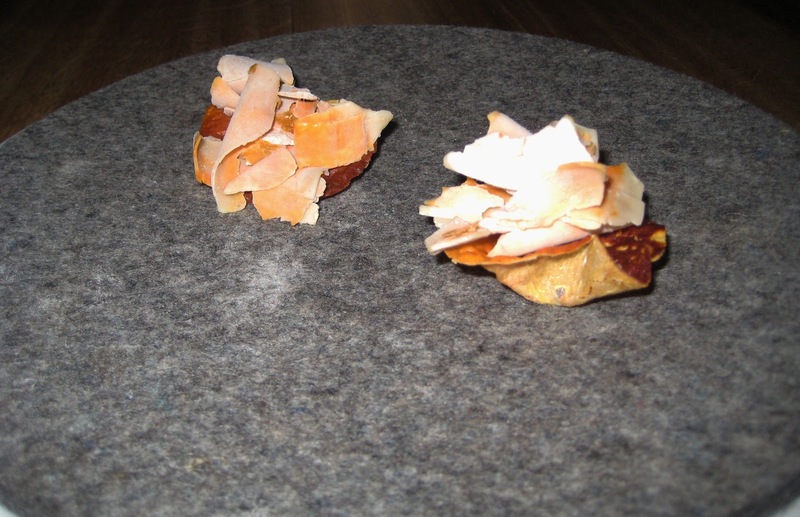 Restaurant Magazine ranks the World's 50 Best Restaurants each year, and for the past 2 years Noma has been on top, even beating out El Bulli in 2010. Since I arrived in Paris, Noma has been on my radar, and on my speed dial. They have a reservation system much like the French Laundry where you call on a specific day at a specific time to try to get a spot 3 months later in 1 of the 35 seats in the dining room. I set the alarm for the first Monday of each month at the prescribed hour, and dialed the phone with one hand, while typing with the other to try and get in through their online system, and I used my feet to light candles for good luck. When none of this worked, I enlisted friends, family members and anyone with a phone or computer to help. 3 months went by and I had nothing but a few wait listed dates that never came to fruition. When I learned that there are approximately 20,000 people trying to do this each month, I realized I needed reinforcements. I started asking around for possible connections and found a friend (who shall remain nameless due to the influx of calls she could now receive) who said she briefly met the chef at an event a little while ago and she could send an e-mail, but it's a long shot. My feet needed a break from lighting candles, so I was all about the long shot. Next thing I know she was asking me what date I wanted to go. I was in. 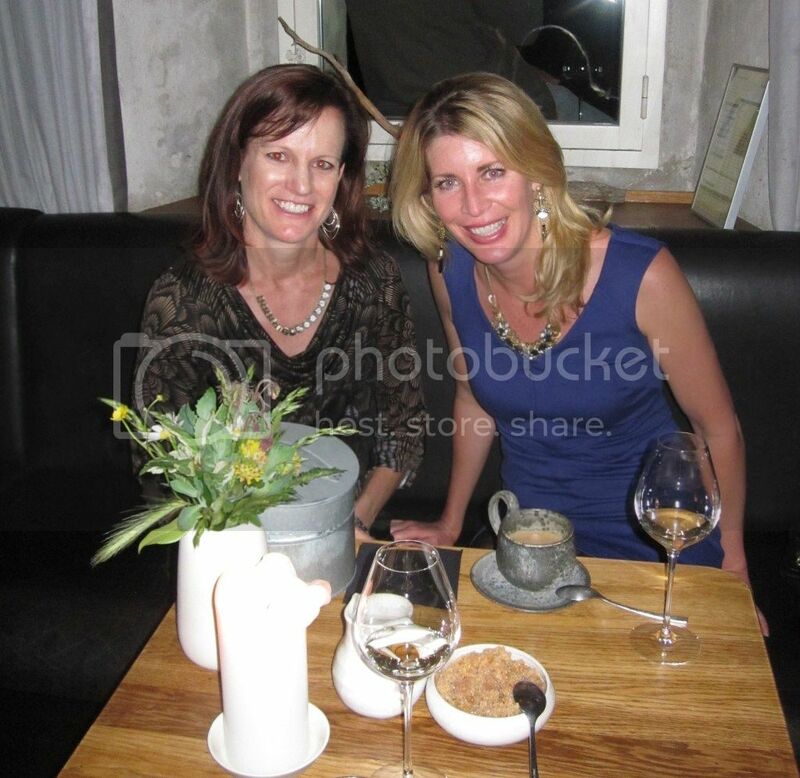 Finding a dining companion wasn't a difficult thing and fellow foodie friend in Paris, Jen, joined me. Noma is set in an odd location of Copenhagen - across the water in the warehouse district, where they've converted an 18th century warehouse into a gastronomic destination. 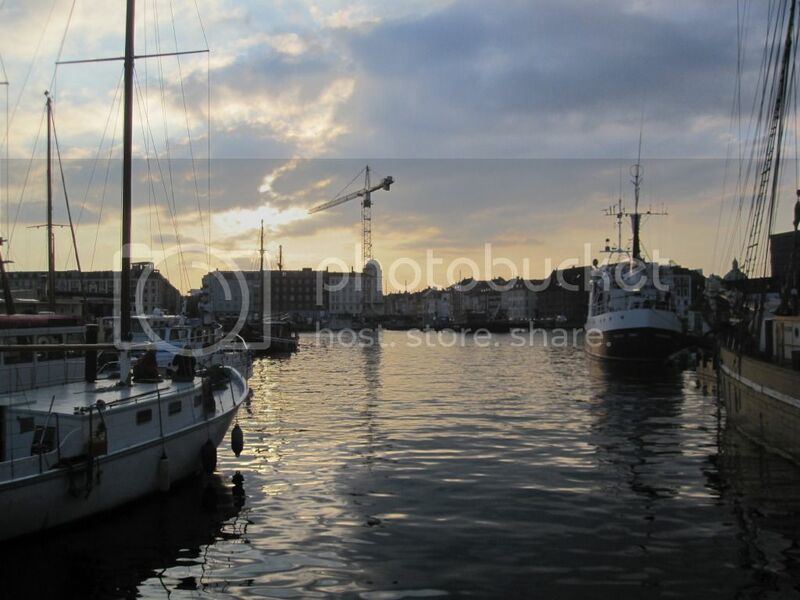 There's next to nothing going on around them, but the restaurant is set on the water with views back to the city. The room is simple with distressed wooden beams across the top and down the middle of the restaurant with wood floors and chairs. People, including the wait staff, are dressed nicely, but casually. Everyone is very friendly and I found the servers the nicest of any I've ever experienced at this caliber of a restaurant. We lucked into a great table with views of the busy, open kitchen that did not stop moving the entire time we were there. We had many different people serving us, and telling us about each dish and all of the ingredients in great detail. 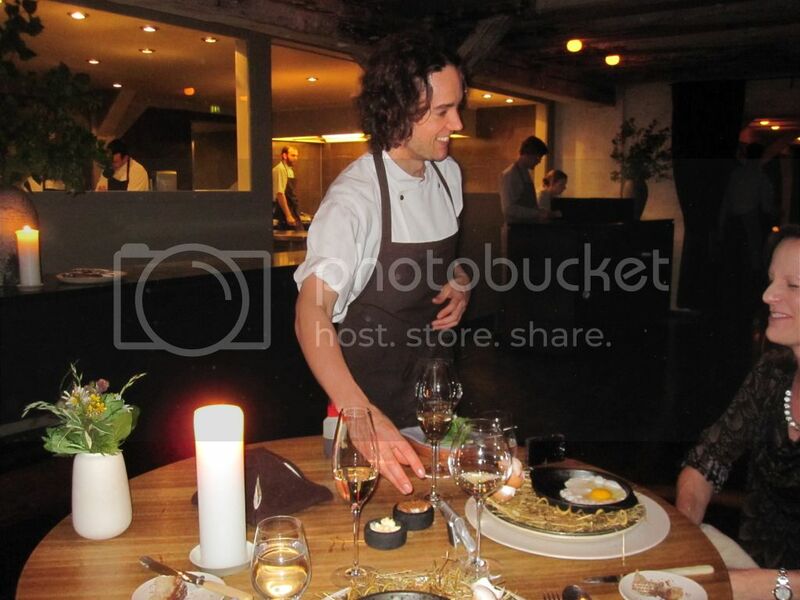 The head chef Rene Redzepi was upstairs in the test kitchen, but unfortunately we didn't get to see him. The chef in charge came from San Diego and was most recently working at Per Se. I asked about the differences in working for 2 of the best chef's in the world, and he said it's completely different and you need time to adjust. It's like going to another country and you not only need to learn a new language, but you also need to learn a new culture. Every single person there claimed to love their jobs and the work. We did not receive a menu, but rather were simply asked if we had any food allergies and what we'd like to drink. We knew we didn't want to think, so we got the recommended wine pairings, which we learned all too soon were refillable. We never saw the bottom of our champagne glass. Over the next 5 hours, we received 27 different plates, or tastes of food. We were told for the first 30 minutes or so, we'd be strictly eating with our hands, which made me very excited since Parisians eat hamburgers with a fork and knife. We started by eating the center piece. In this display, you'll see two darker asparagus looking stems jutting out the top. That's what you eat. It was malt flat bread with juniper. Crunchy, quirky and fun. Next up was another find-what-you-can-eat-in-the-landscape game. This was a flash fried moss dusted in cep. It doesn't seem like it would taste like much, but they managed to truly infuse the mushroom flavor into the crisp bite. Game night continued with find the mussel you can eat in this elaborate display. Yes, there was one mussel for each of us in this big platter. The closed blue mussel on top was entirely edible, including its faux shell and creamy celery filling. 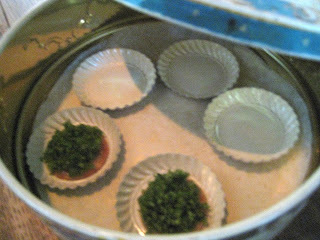 We received a cute cookie tin with two treats inside filled with cheese, rocket and stems. 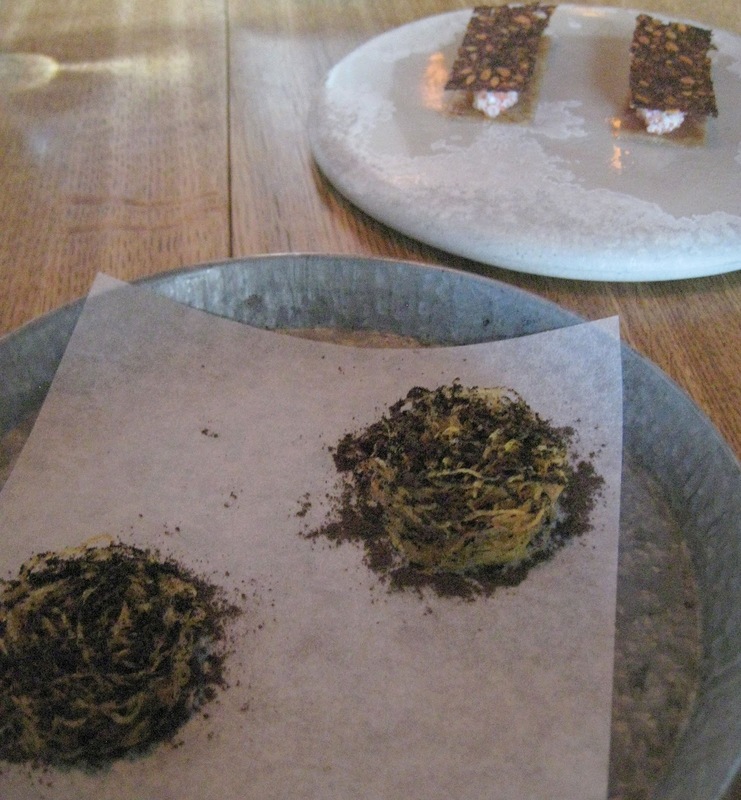 The next dish was called "crispy pork skin and black currant," but I would call it funions with fruit roll up. It tasted exactly like it, but I'm thinking this version was slightly better for us, with a little shorter shelf life. 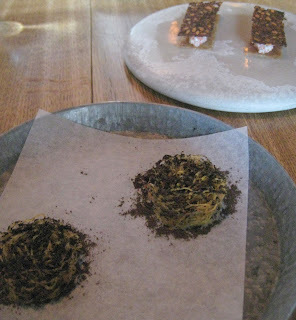 We then had a nice crunchy duo of chicken liver between what I would called potato hay stacks and then there was a lump fish roe sandwich with rye, chicken skin bread. I'm sure you whipped up something similar for lunch today. This seemingly simply dish was a dried carrot in a smoky bed with a green sorrel sauce for swirling. They do all of their own, "salting, smoking, pickling, drying and grilling," and you can taste it. Everything tasted freshly picked and cooked. No leftovers or re-heats here. 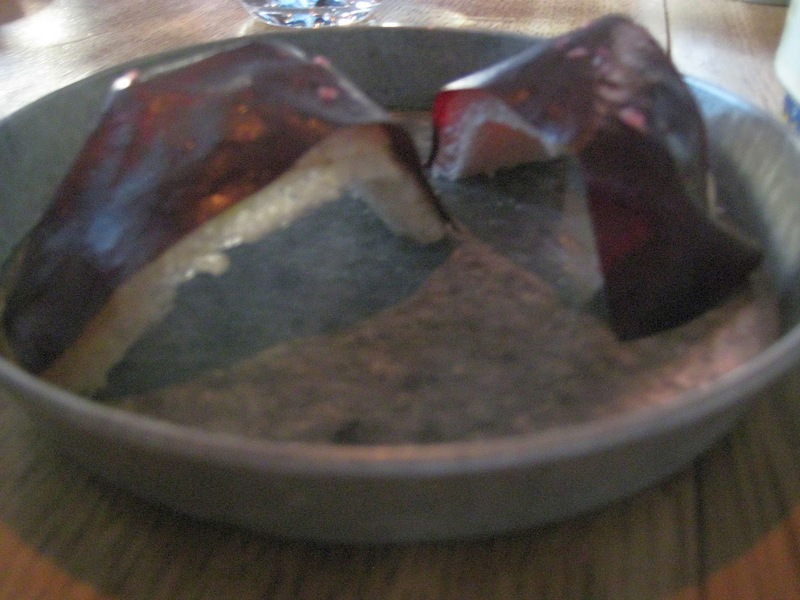 We received this dish with instructions to eat it very quickly as it will melt instantly. It was hard to imagine this dish described as cod liver with caramelized milk, melting, but I wasn't going to leave it to chance. The cod was cool and icy and did in fact melt in my mouth. Next up was not your average quail egg on smoking hay. It was pickled and smoked, because, well they do that here. There was also a nice sweet surprise in the middle. 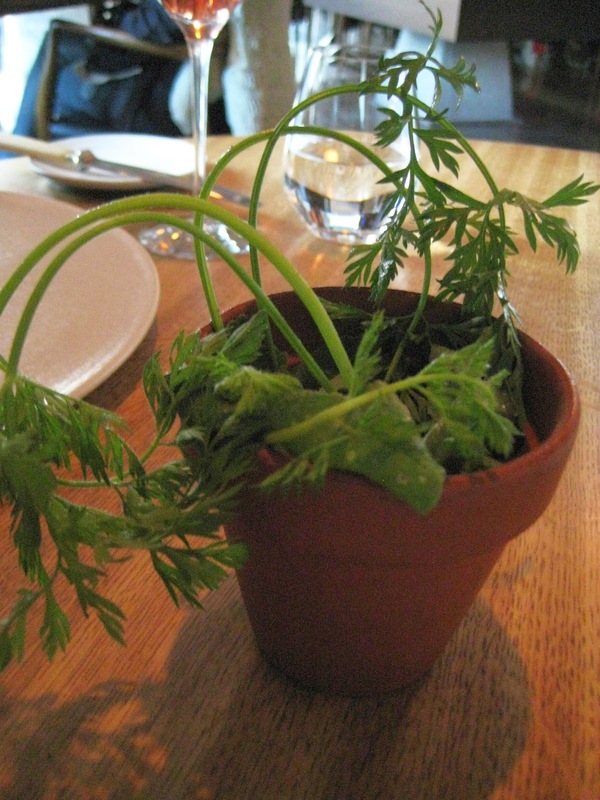 We then received a flower pot on our table with some stems and leafs sticking out. We picked them up to find small carrots and radishes at the end in what looks like dirt, but was a special fertilizer of dark roasted hazelnuts and grass green pesto. 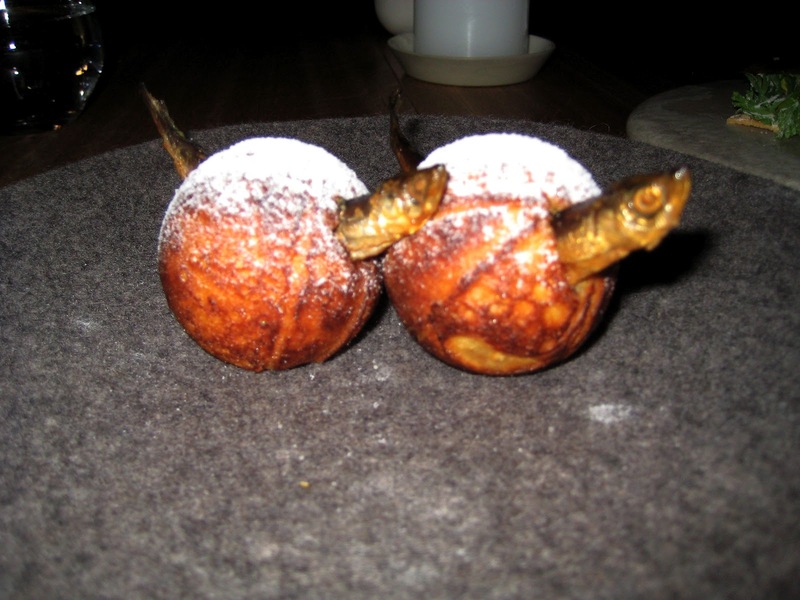 This next dish, I don't even have the appropriate keys on my computer to type it correctly, but it's aebleskiver and muikku, and I don't advise trying to pronounce that while you're eating this delicacy. It's like a sweet donut hole with a Finnish fish swimming through it. Not a combination you might easily think of, but I loved the combination of salty and sweet. 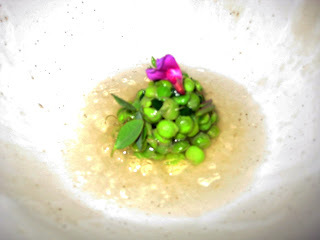 We were presented with fresh peas sitting in a bed of fermented peas and aromatic tea. Now when they say fresh peas, they mean it. I've never tasted anything quite so fresh. It tastes picked moments ago. I've now had razor clams a few times in Paris, but never a preparation like this. 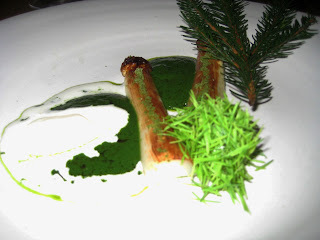 It was soft, but flavorful with parsley, dill and horseradish, swimming in a sauce where I think it just escaped from. 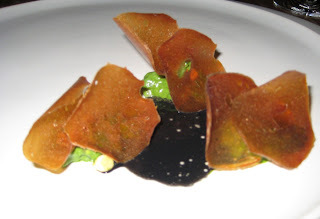 I've also never had scallops like this, dried, and with beech nuts, biodynamic grains, and watercress in a black, squid ink. And finally something from the meat family. 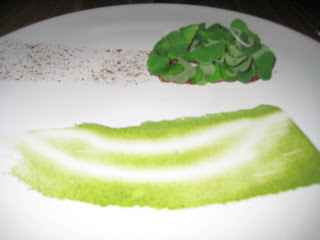 It was a tartare under a small bed of sorrel that we were told to pick up with our hands and run through the juniper and tarragon sauce beside it. Gladly. 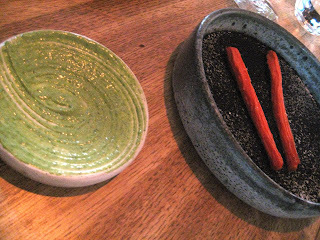 The flash of meat sent us quickly back to vegetable land with white asparagus in a green asparagus sauce. There were also parts of the forest on the plate and you could taste the outdoors. 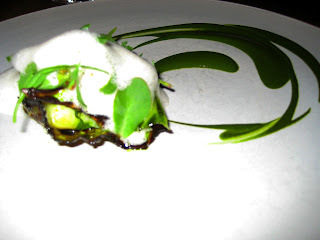 Pike perch was next with a beautiful swirl of green cabbages, verbena and dill. We were then told to place our napkins on our chest as we were about to do our own cooking for the "hen and the egg" round. We were instructed to crack an egg into a very hot skillet sitting in some hay. We had a selection of greens on the side that we place in the dish once an "egg timer" went off, and then a saucy, I mean saucier came by for the finishing touch. Our final savory dish had delicious sweetbreads paired with bitter greens, mushrooms and green strawberries, which I had never seen before, but brought a nice sweetness to the dish. 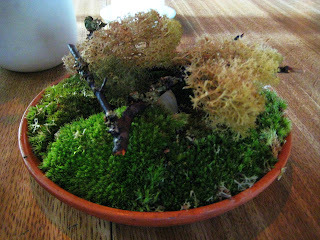 The first dessert was milk curd with red rhubarb beside and under it, along with more creatures of the forest. Then there was the dessert simply called "pear tree." Yes there were some tree parts, and a half opened, roasted pear, but then there was a spongy cake that could have been pulled right from the inside of a pine tree with a sweet sauce underneath. We were then asked if we wanted coffee and we were taken to another room to have a French pressed cup, and it was here where we received some chocolate treats like a chocolate covered potato chip. At last. I couldn't believe they were going to let us leave without a taste of chocolate. It was now 1 a.m. and we were the last people in the place, except for some French wine folks wandering around drinking. Turns out they had some connections as well since they were drinking with the crew. It wasn't long before the winemaker was offering us some of his wine. 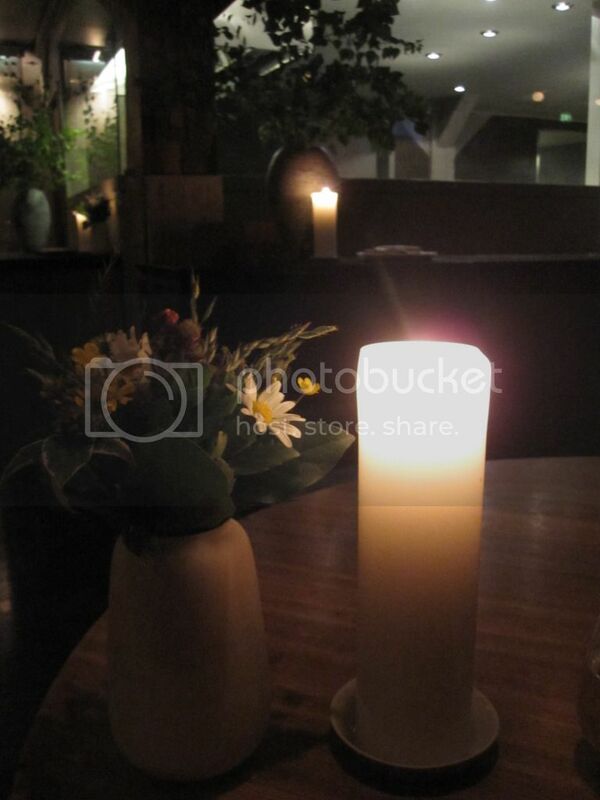 Now if only he would have offered to pay the bill, as that was a sobering experience at the end of a fabulous 5 hours. We didn't realize people eat a bit earlier in Copenhagen or we would have shown up as early as everyone else, but we went with the standard 8:30 time we usually eat in Paris. We felt a little rushed at the end, especially because we had seen people go into the kitchen for a tour and I was nervous not to be able to see it as it was now practically dark in there. I still asked and we got a quick glimpse to see where the magic happens. It was so neatly cleaned by the time that we got there that it was hard to imagine all the hours, food, and preparation that went into the previous day, but the stock was already going for the next round. 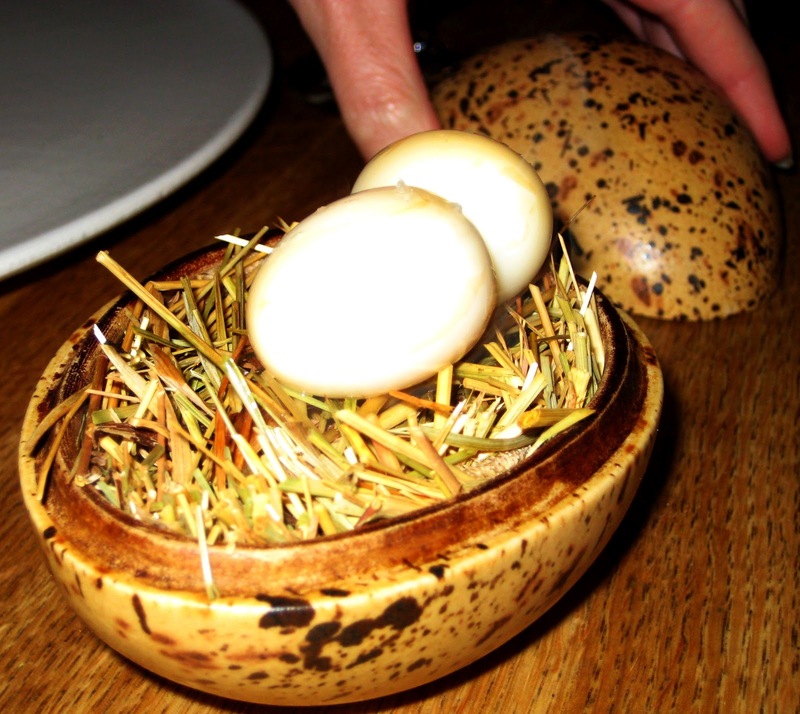 Now the million dollar question - do I think Noma is the best restaurant in the world? I don't know how anyone answers that question, but I know that's not what you want to hear. I have a few thoughts now that I've had a few days to fully digest the food and the experience. Noma is showcasing Nordic cuisine. They're not serving haute French food, nor are they doing Asian fusion. In some ways, that would be easier. They are presenting the best of their surroundings, and they do that with a flawless eye for detail and their environment. There were many ingredients that they explained are grown specifically for them on nearby farms. There's also a foraging crew that goes out in the wee hours of the morning to pick the greens and spices that show up on many of the plates. 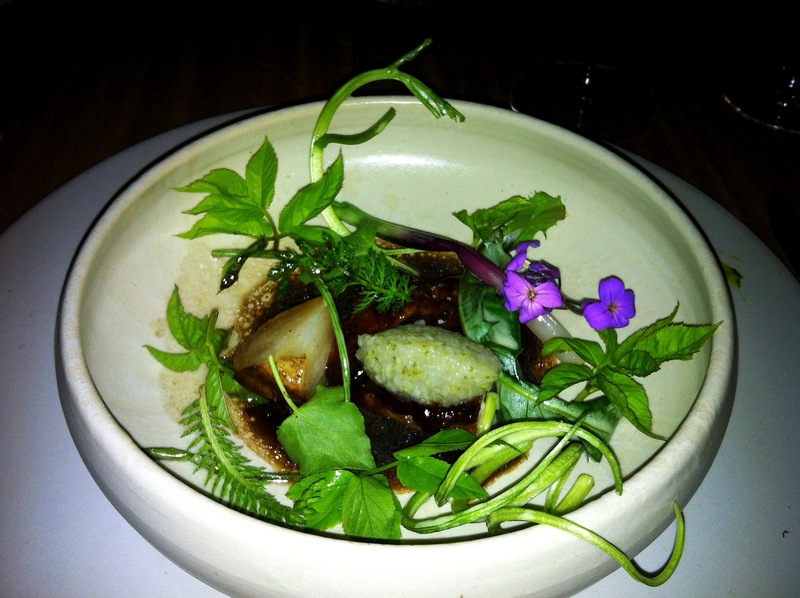 It's this piece that makes Noma very unique. Yes, other restaurants forage and grow their own products, but Noma uses ingredients that are not found or even known across the world. They look for new and different ways to use what's around them versus reaching for a jar of olive oil or vinegar or even grabbing some foie gras. I think it's pretty brave, it's unique, it's sustainable and it makes for a memorable meal. Yeah, yeah, yeah, but the best meal ever? OK, I'll admit, probably not. I must confess I missed seeing a big piece of juicy red meat on my plate, paired with a robust, tannic red wine. I don't need to eat that every day, but with over 20 courses, I thought it would make an appearance, though I do understand why it did not. While some of the flavors were subtle, the forest definitely played a big role in most dishes, which produced bold, woodsy flavors, along with the unique tastes of smoke and hay. I felt like I just left a camping expedition in the woods after the meal ended, and still had some pine stuck in my teeth. I do think that the service was exceptional and approachable. I liked hearing about all of the ingredients and what they did to get them. I liked being able to ask questions and talk to different people about their experience working there. 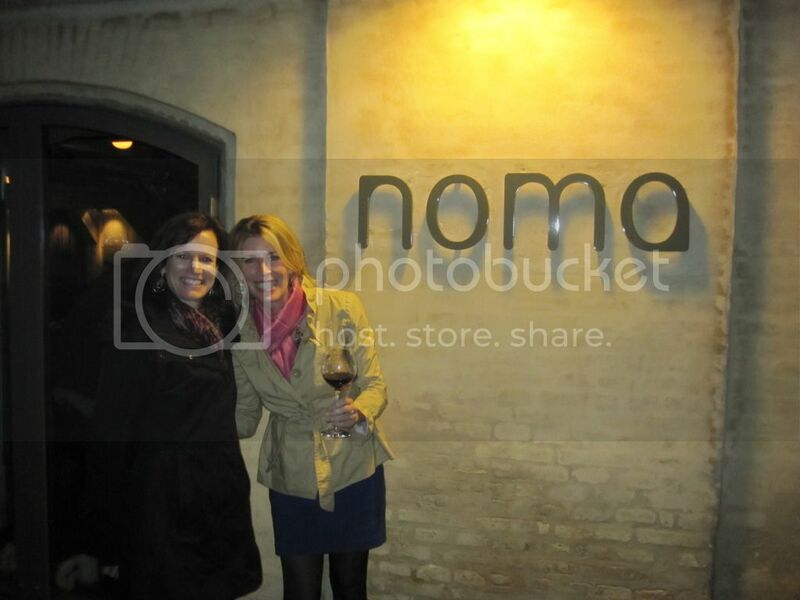 Overall, I really liked the philosophy of what they're doing at Noma and am glad I had the experience. Will I go back? Only if you get the reservation and are paying! Thanks Kelly. I've been really curious about this place. It was a trip just following the dishes virtually. I am still trippin' on that donut with a Finnish fish swimming through it. What an amazing experience. Thanks for sharing. I have the cookbook and now I am a little more inspired to cook out of it.